Some of the graffiti in Horncastle (Thursday). The Mayor of Horncastle, Councillor Brian Burbidge, has condemned those responsible for racist graffiti in the town earlier this week. As reported yesterday, the graffiti appeared overnight on the side of a number of buildings in Horncastle’s town centre. The Mayor of Horncastle, Councillor Brian Burbidge. In a statement this morning (Friday), Coun Burbidge said: “I deplore the actions of the people who did it. “We do not need this in the town and I will do all I can to help prevent it. “Horncastle is a fantastic town in which to visit, work and live and to my knowledge graffiti like this has never happened before. “I took the opportunity this morning to visit two of the locations attacked to reassure the occupiers that we will do all we can to prevent this vandalism. “I have requested the town CCTV be checked and would ask any member of the public to report any information they have to the police. “Our estates team has removed some of the graffiti, and we are working with the owners of the businesses targeted to ensure that it is removed as soon as possible. “I understand that members of the public offered assistance to remove the graffiti, for which I would offer my most grateful thanks. 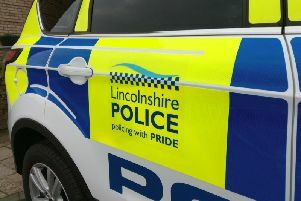 • If you have any information, call Lincolnshire Police on 101, quoting incident number 80 of June 28.